If we had a choice, we would have simply hired someone to do all our housework, saving the world from a huge portion of the unemployment issue at the same time. Cooking, cleaning, maintaining, and what not is, indeed, a lot of work. All we have are 24 hours in a day and still so much to do. Everything aside, the way of living that most of us follow is bound to take about 24 hours to finish all the cleaning alone. There are dirty cutting boards, oily counters, greasy chimneys, hair stuck in the drainage, stained carpet, dirty blinds, clogged taps and shower heads, rusty faucets, unacceptable state of doorknobs, used and dirty utensils in the kitchen sink, liquid ring stains on the tables, and many other such problems that we need to take care of almost every day to maintain a healthy living standard. Also, do not forget that we need to keep the house habitable for us and everyone else. But come on, who are we kidding? It is not our cup of tea to keep everything clean almost the whole while. We are not Monica Geller. We just don’t have the time and strength to drag our body and clean every inch of the house. Probably that is why some great individuals invented the hacks, so we would get rid of the hardships of our lives in a matter of minutes, or sometimes, even seconds. Cleaning life hacks would be just a breath of fresh life blown into us to get up and start cleaning. Easier than the long way to clean, we can really make-do with a few of these to save our time and energy, at the same time that we are cleaning the house. 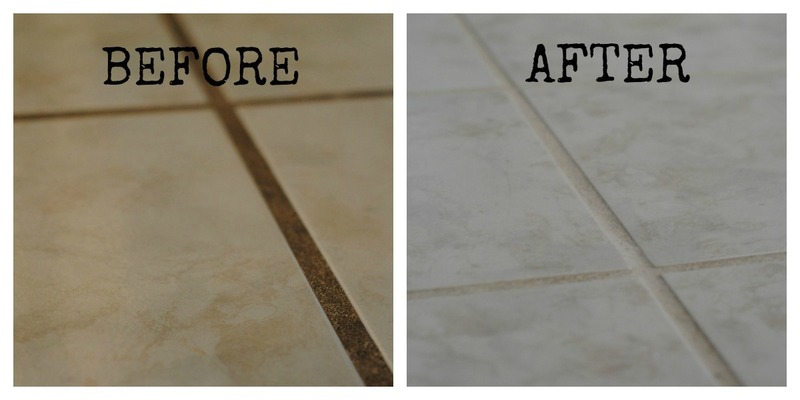 There can be a no better gift than giving someone the secret to easy and quick cleaning. And so, here’s a list of some house cleaning hacks that will transform the way you clean your entire house. Hard water stains are possible almost anywhere in your house, especially on surfaces like glass. They are caused when hard water evaporates, leaving behind insoluble minerals. These stains look really ugly and affect the charm of most of your possessions. But it is really easy to clean those. Soak your glasses in a mixture of apple cider vinegar and water, or spray this mixture onto surfaces that need cleaning. Vinegar cleans perspiration stains very easily (1). You can learn more about it on WiC Project. Crockery is tough to maintain as it is.What makes it worse is, as they get old, scratches start building up because of all those times we recklessly used our cutlery on them. And after a point, it just looks plain ugly. It feels like a huge embarrassment to serve the guest in those plates. Leave out guests, it looks unappetizing to eat food off these yourselves. But you can easily remove them using a liquid cleaner and mix it with a little hard work. Read the full tutorial at Outnumbered. If you live in a dusty and windy area, then you already know the importance of having micro blinds on your windows. But then you also are very familiar with the misery of dust stains on the blinds. 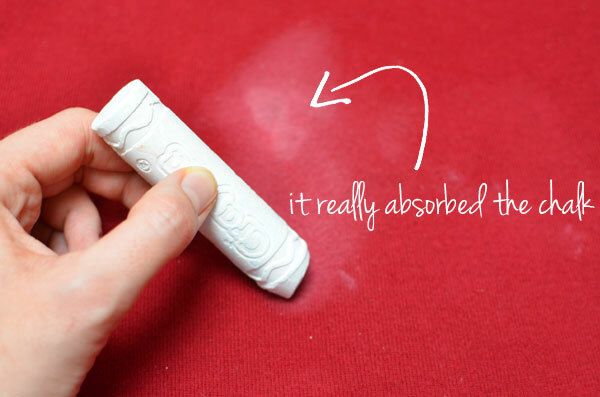 Dust stains are stubborn in a way that is just plain annoying. Simple water is never enough to take them off. In some cases, you may also end up making matters worse. 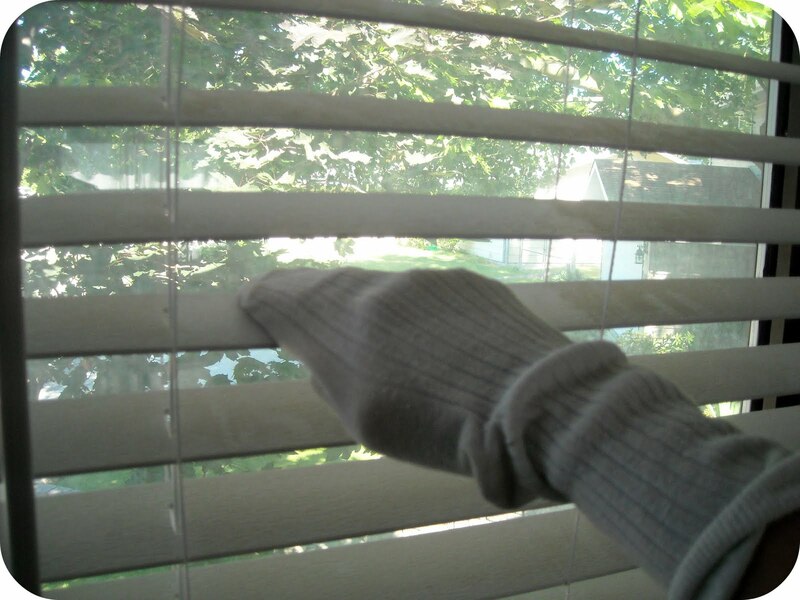 But fret not, you can easily clean these stains from your blinds by using vinegar, warm water, and an old sock (2.) For the how of this hack, visit Keep Home Simple. Curling irons are something that you will easily find in a girl’s dresser. 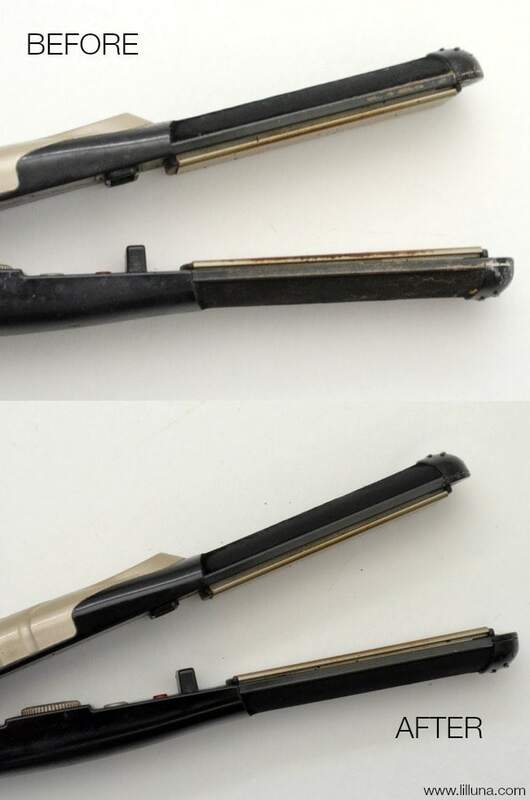 Flat irons are present in every home because nobody likes putting on wrinkled clothes. But over the course of time, due to continued usage and mishandling, the irons develop stains that otherwise just would not go away. So how to remove these unpleasant stains from your irons? A simple hack is to use some rubbing alcohol and a washcloth to clean them. Rubbing alcohol is used as a disinfectant in hospitals (3). Alcohol is flammable so keep in mind that the irons should be cooled down before you begin cleaning. You can read the hack at Lil’ Luna. Washing machines wash off dirt and stains from our clothes every day, in millions of houses around the globe. In the process, these poor things also get dirty, with all the dirt and lint left behind by the clothes, and also by the salts left behind by the hard water. This can certainly affect your experience of washing your precious, pretty clothes by harming them in nonredeemable ways. So what to do for cleaning the washing machine? Just soak in some warm water and white vinegar, and run a cycle, followed by soaking in warm water and bleach, and another cycle. For full instructions, read the article by Lauren Greutman. Nobody in this world is perfect. If we can accept that, then we can also accept that spilling is also human nature. We just cannot avoid it. But what hurts more than spilled food, is spilling it on your clothes. It’s also a very common practice to cook food in grease. But despite its taste increasing qualities, grease is infamous for one thing; for the stains it leaves on fabrics. Fabrics are quick in absorbing and hence, they absorb the grease which then turns into a stain. Don’t worry, it is not as difficult to get rid of those as you might think. Just rub some chalk on the stain and wash like you normally would. For directions on how to wash, go to One Little Project. The raw need to clean turns into full-fledged paranoia when a baby enters your lives. Everything in the house has to be baby proofed. But we often forget about the baby’s first friends, the toys. We take full care so as to not give the kid anything that is pointy or has sharp corners. But what about the cleanliness of the toys? Yes, they should be kept clean too. And how to clean them? If you happen to have a dishwasher at home, it is as easy as it can get. Just put the toys, pour some cleaning vinegar, and wash (4.) For a detailed tutorial of the method, read the post by Eat Craft Parent. Cooking on the stove may be an everyday activity, but no one can explain how the greasy waste gets all the way up to the wall or hood nearby. What is worse is that you cannot get rid of those grease stains by just water. What you can do is wipe it off with ammonia, but there is a possibility of several health hazards that it may cause. So what is easier and safer? Well, how about using oil for removing that? Yes, it may sound crazy, but it works like magic. Just spray a little oil on a paper towel and wipe the deposit with it. In a short while, you will see it all coming off. You can read the full tutorial on One Good Thing By Jillee. When it comes to grease stains, nothing in your kitchen is safe from it. 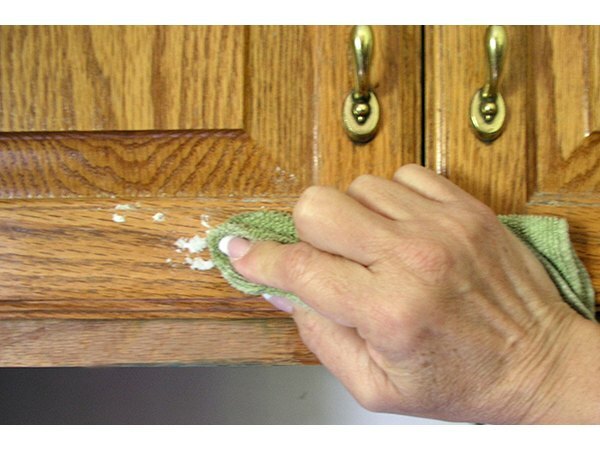 Even the wood of your cabinet doors can develop grease stains, and they look really ugly on the precious wood. These notorious grease stains develop very slowly, so you should always check them regularly. If you are already late and the sheen on your cupboards is almost hidden beneath all that grimy stuff, don’t stress. They can still be saved. The procedure, however, is long. You have to clean the cabinet using dish soap, followed by scrubbing with baking soda and finally with lemon or orange oil. Baking soda is advised for cleaning grease (5). You can add several additives to the cleaning agents. To know these, read the full post by eHow. This is more of an organizational hack than cleaning hack. But that’s also a form of cleaning up as well. Many cleaning agents come in spray bottles to reduce a little bit of our efforts. But jamming a lot of these spray bottles in one cabinet can be a huge mess. A little organization is a must and will save time in the future. This hack suggests that you put a spring tension rod in the cabinet and then hang the spray bottles on the rod, hence using the upper space and getting the kind of order that you expect. To see how this hack works, read about it on Ms. Not So Perfect. Coca-Cola or Coke is one of the first and biggest brands in the world, with its inception dating back to the year 1886. In the last 131 years, it has not only kept the recipe a secret but also has never altered it. As much as it is loved around the globe, people are not so much aware of other qualities of the soft drink. It is an exceptional cleaning agent. You can use it for cleaning the one thing that you would otherwise cringe at the thought of. The toilet. Yes, it sounds disgusting, but someone has to do the dirty work. The citric acid in the coke works wonders to remove stains from all the china (6.) 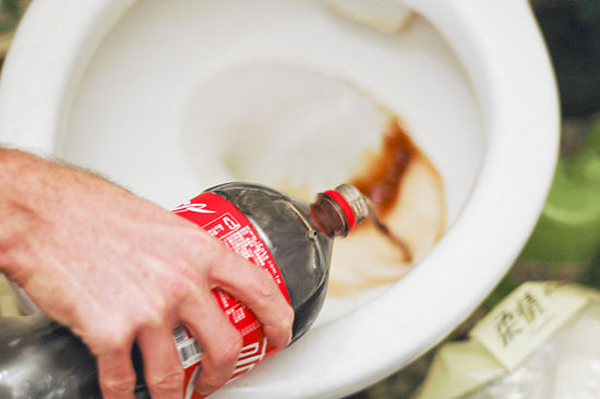 All you need to do is to pour a defined amount of coke into the bowl, let it sit, and then flush. It is an effective way of cleaning the toilet without getting your hands, or anything for that matter, dirty. For the process, read it on wikiHow. Remember those wonderful days when you just got a new shower? It provided you the perfect stream of water to relax and calm your nerves at first contact. But over the years, that stream has slowed and the shower head keeps coughing. The reason behind this is clogging of the waterways of the shower heads. The particles that come in with water get stuck to the walls and slowly start clogging and choking the shower. But this is not a situation we are unprepared against. All you need to do is soak the head in distilled vinegar (7.) And for that, you don’t even have to remove the head. To know how to do it, visit The Melrose Family. Nothing in a household is as important as your bed. And the most essential part of the bed is the mattress. You must be thinking “I have to clean my mattress too?” Yes, you have to. And no, we will not just tell you that it is very crucial to clean your mattress, we will also tell you how to do it. There are two major threats that you have look out for, on your mattress; dust and bugs. They can both ruin your night’s sleep. 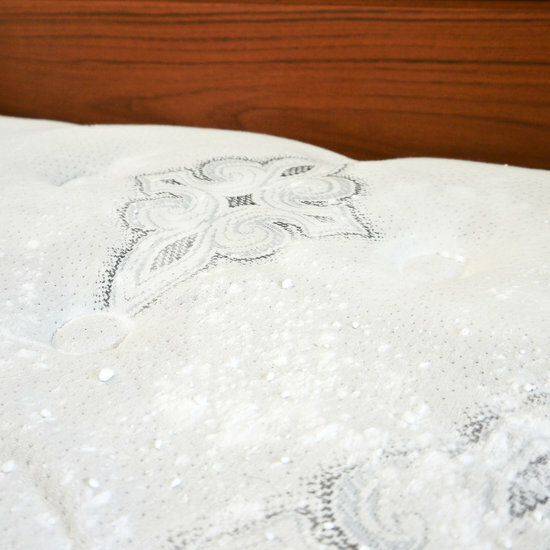 But with a mixture of baking soda and an essential oil, you can easily clean your mattress deeply, and get rid of dust and the bugs in as less as an hour. For more information, read on Popsugar. Have you also played with the soft and tiny fibers coming out of your couch seat? These are called microfibers, and everyone loves to sit in these. Kids just love making shapes out of them. 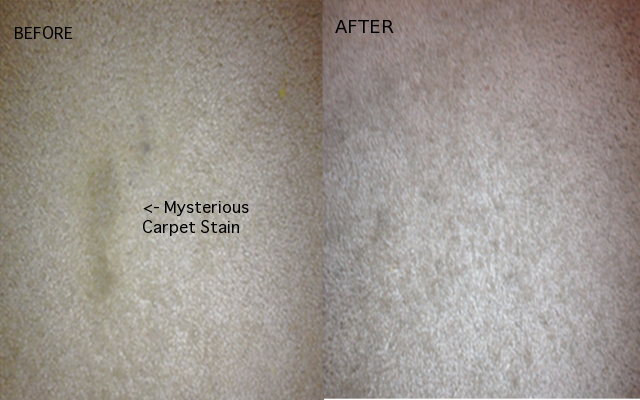 But these fibers also have the disadvantage of retaining stains very easily. And something, as clear as a stain on the couch, can also tarnish your image in front of the guests. As easy as it is to stain that couch, it is even easier to clean that and make it as good as new by just using some alcohol in a spray bottle. To learn this amazing cleaning hack, go to Herbs & Oil Remedies. 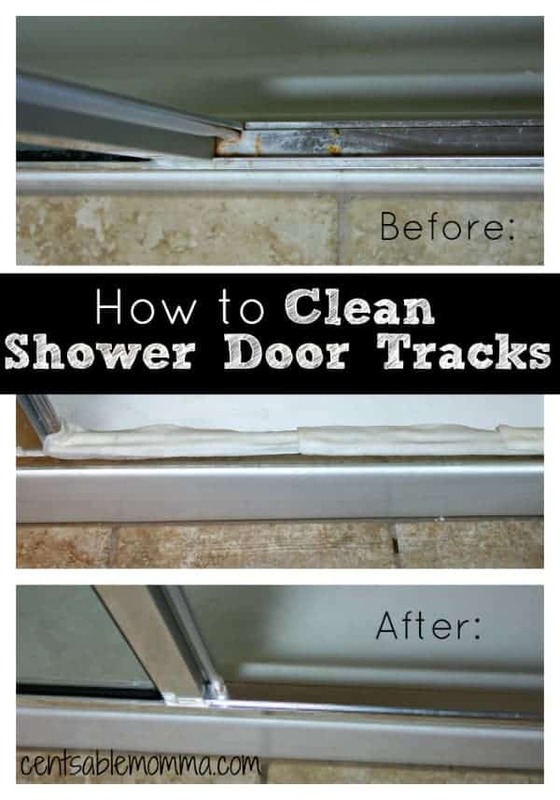 Shower door tracks have been some of the most ignored nooks of our houses. People somehow just do not register how important these are. If due to blockage, the door gets jammed, it can very quickly turn into a hazardous situation causing serious injuries. But, it is also very easy and quick to clean them, and that too with all natural ingredients. Spraying vinegar, and cleaning is pretty much enough. For full details on this hack, read on “Cents”able Momma. Nail art has been women’s favorite hobby, and that begins with removing the previous color so as to make a clean canvas for the next masterpiece. And, hence, Nail polish removers were invented. But with time, people started to understand the real power of them. Nail polish removers are not only good at what they were originally intended for, but they have found a respectable position in the world of cleaning hacks. This is due to their excellent solvent properties (9.) From cleaning your shoes to removing permanent markers, nail polish removers are very useful. For a full list of cleaning hacks based on nail polish remover, read the article on Better House Keeping. 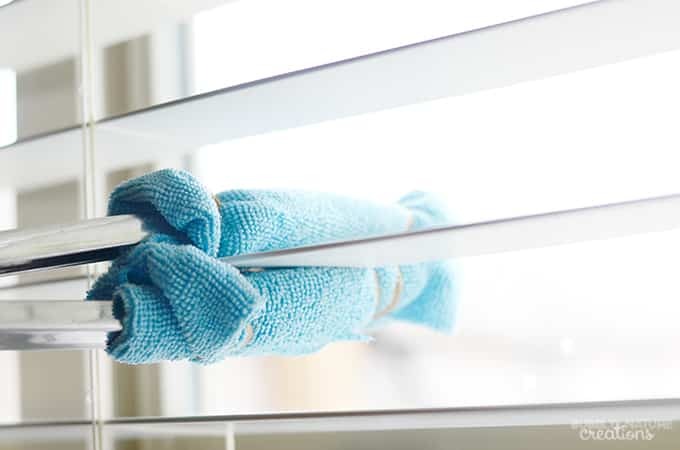 We saw a cool hack to clean dirty blinds using a sock already, but you don’t have to wait for a sock to get old, so you can jump on the opportunity to clean your dirty blinds with it. What you can do is make a tool for cleaning the blinds, and save a lot of time. All you need is a pair of tongs and microfiber washcloth, and you are a hacker now. Just affix the washcloth onto the end of the tongs, and use it for cleaning with a disinfectant. Sprinkle Some Fun explains how to make this tool and how to use it. Cleaning the walls is seriously a lost art now. Out of laziness, out of the fear of ruining the decor, or out of lack knowledge on how to clean, people shirk away from the rather arduous task of cleaning the walls. 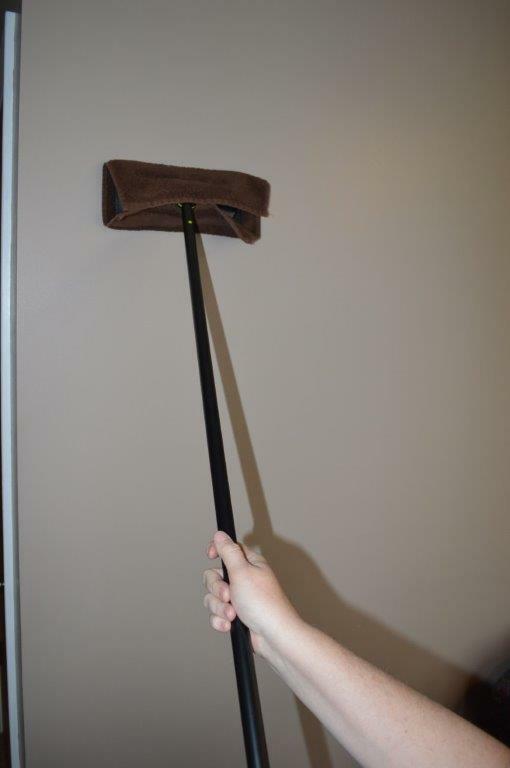 But armed with the right tools and knowledge, it becomes a surprisingly easy task to clean the walls. A Mother’s Shadow gives a full tour to people to educate them about the ways one can care for and clean a wall. Dishwashers are still a luxury at many homes of the current time. And if you have one, you know how easy it makes it for us to wash dishes after a meal. But then you also know the struggle of keeping the dishwasher clean. You have to protect it from the mold formation as well as the bad smell. This, in the end, affects how your dishwasher cleans the dishes. If you are probably not getting the kind of results you expect from the washer and the dishes stink sometimes, it is high time for you to take up arms and start cleaning. But how? Well, you will require vinegar, baking soda, and lemon essential oil. For directions of usage, read the tutorial on eHow. No company makes anything close to an all-round bathroom cleaner. This means that there is nothing commercially available to clean the tiles, tubs, and the grout filling, all in one. But that does not mean that you cannot prepare your own concoctions while you are cleaning the bathroom. Also, the cleaners available in the market are mostly made up of strong chemicals. They can add to the amount of toxicity involved in bathroom cleaning. So there is a strong need for you to make something at home that is both efficient and natural. You can make one cleaner like this by mixing together baking soda, hydrogen peroxide, and liquid soap. You can find the recipe for this cleaner at My Cleaning Solutions. A little carelessness is bound to happen when cooking in an oven. That may be overcooking, under-cooking, or spillage. Whatever it may be, the oven racks have to go through a lot during the cooking. This also results in various sorts of spots and stains on the oven rack, and hence, it is advised to clean it because if you don’t, they tend to get rusted. 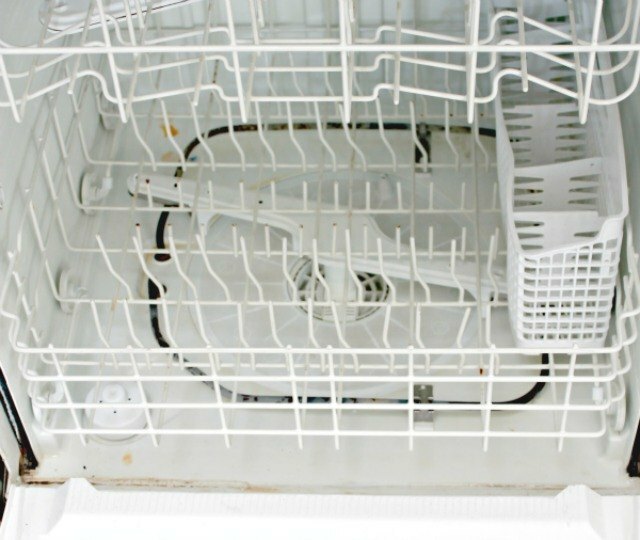 To clean the rack by yourself, you can prepare your own homemade oven cleaning spray. You will need distilled white vinegar and baking soda for this. Baking soda bubbles up when mixed with vinegar and acts on the gunk and rust (10). To know how to use these for cleaning the racks, read the full procedure on eHow. This may sound bizarre, but the burners of a stove actually go through hell. The flames and the accidental spilling makes it worse for the burners to persist. Oil, milk, grease, and much more such food products that get cooked over and over after they have been spilled onto the burners make a stubborn coat that is hard to get rid of. And scrubbing them isn’t as easy as it sounds. But, there is another way to get rid of these stains. Sealing the burner in an ammonia environment works like magic. After this, all you have to do is wipe the burner clean. For a detailed word on this, read the full hack on The V Spot Blog. Cast iron skillets have been a major part of the kitchen accessories. They are still used because they just keep getting better with time. But you cannot clean them with soap or liquid wash. Also, you should take it in use regularly. If you have somehow overlooked both of these precautions, chances are that you have ended up with a rusty pan. So how to get rid of the rust and make your skillet new again? It’s very simple. You need vegetable oil, coarse salt, and a potato. That’s right, potato. This process asks of you to do a lot of scrubbing, where the salt acts as an abrasive on the iron surface (11). For the steps on how to perform this hack, go to the story by Apartment Theory. People with experience in the field of vacuum cleaning know how difficult it is to reach tight spots for cleaning. Tight spots like the grooves in the window sill, the area under the couch, space above the books in a book rack, AC vents of your cars, spaces between keys of a keyboard, et cetera, are very much inaccessible for cleaning with a normal vacuum cleaner. So do we need a special sort of vacuum cleaner for this? Not necessarily. You can make your own vacuum head, specifically designed for reaching such tight spaces. 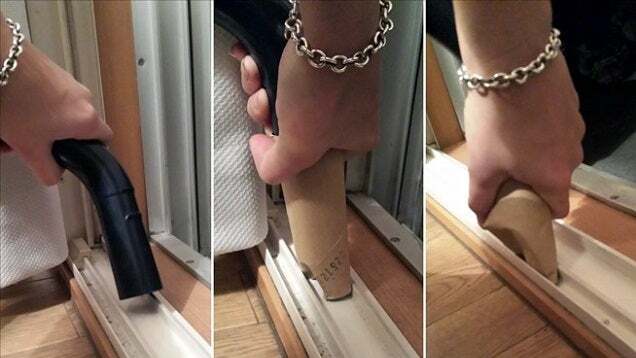 For this, recycling a toilet paper roll is one of the most effective hacks. Some people even use the top of a ketchup bottle, of the ones that you find in diners. Bloggers Patrick and Alan of Life Hacker throw some light on these hacks. Lampshades might not be a very impressionable part of your home’s décor alone, but they can be a big hub for all the wrong kinds of pathogens to live and prosper. They collect dust and pet fur because of the heat on them. This stuff, which gets collected on the shade needs to be cleaned from time to time. But how to clean these delicate pieces of furniture without causing them harm? 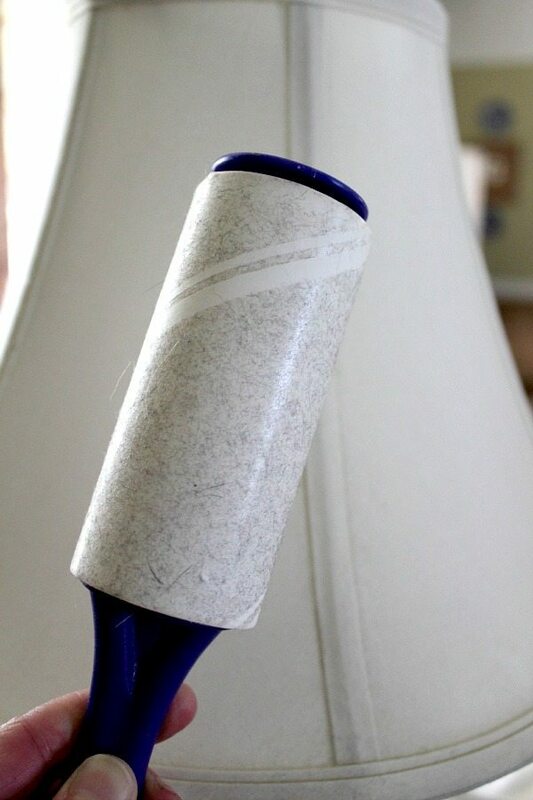 You can catch the dust on the lampshade using a simple lint roller. Just roll the adhesive part of the roller on the surface of the lampshade and the dust sticks to it, giving you a clean, dust-free shade. You can read about the full hack on The Creek Line House. Overcooking while baking is an accident that happens to everyone, even the best of us. But that is not a problem. Overcooking causes the food to stick to the bottom of the pan. And with continued use, the burnt food gets baked on. And it continues to, until you finally notice it. This also causes uneven cooking of the food that you are currently baking. So how to clean your baking pan? Maybe you are thinking of scrubbing it. But there happens to be a better and effective way that would save your pan from the damage, which you may inflict by scrubbing. You have to just place the dryer sheet in the pan and fill it with some warm water. After emptying the pan, you will see the baked-on food has vanished. This is because of the dryer sheet, which directly acts on the baked-on food. (12) You can learn more about this at Simply Sherryl. We learned how to clean the oven racks to save them from rusting. But it’s the entire oven that has to face the wrath of the oil and grease splatters. These splatters, if ignored, turn into an ugly coating and affect the uniform cooking ability of the oven. Also, these splatters also cause the translucency that you see on the oven door. 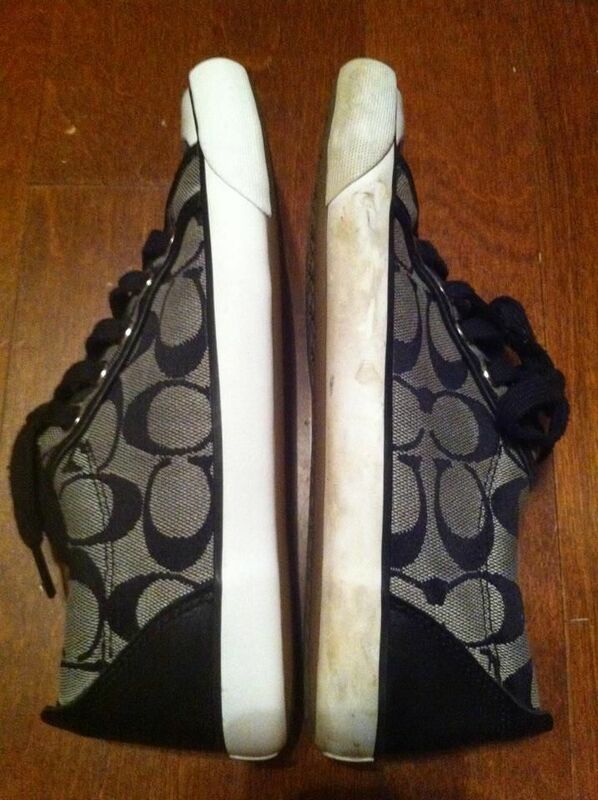 But these can be cleaned pretty easily by using vinegar and baking soda (13.) To clean the glass of the oven door, you can use lemon, salt, and liquid soap. For the steps on how to clean your oven, read the full tutorial with pictures on Cleverly Inspired. Carpeted floors were a trend in the late 80’s and early 90’s. But they slowly started to vanish and were replaced by smaller, portable carpets spread across the floor of the sitting area. That probably happened because carpets were very susceptible to spilling and were easily stained. What was worse is that the stains were very evident and attention-grabbing. And even though carpet flooring is not that common anymore, the carpets we use are still very easily stained. But, you don’t have to drive all the way to your nearest dry cleaners for a quick solution. 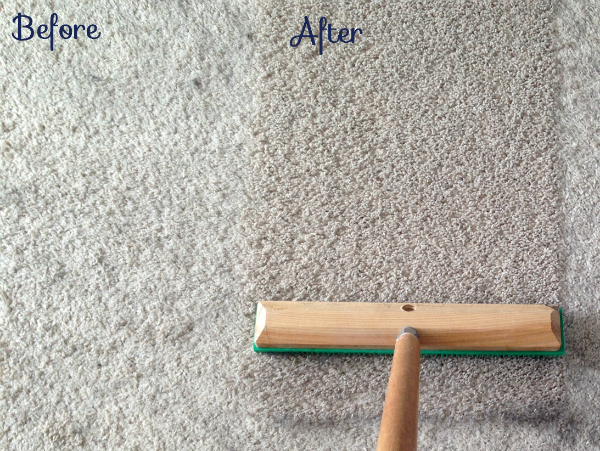 You can easily remove stains from a carpet at home, with using only vinegar and a clothing iron. Homemaker Chic will tell you how to use these to remove stains from your carpets. So it was a hot day, and you served icy cold drinks. And there were no coasters present, either. Some of the glasses formed water rings on your beautiful wooden table. Or someone spilled some water all over it, and now you are left with a huge stain on the table. We sometimes forget things in fun of the moment, and that is okay. But seeing our favorite table trashed like that may be what they call heartbreak. If you are thinking that there is nothing that you can do now, drop that thought right away. 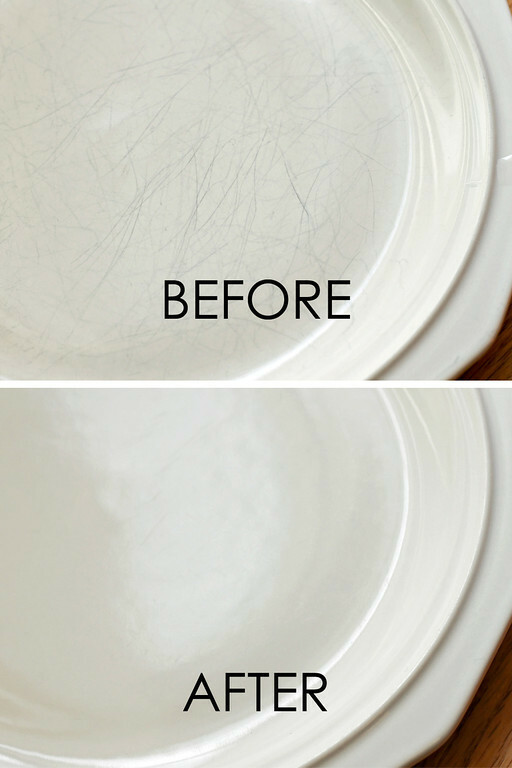 It is extremely easy to get rid of these stains and restore your table to its former glory. Just an old t-shirt or a napkin, and an iron would do. You can also use a hairdryer as a replacement for the iron. You have to iron the stain, and you’re done. You can get the instructions on How To Clean Stuff. The summers hit, and it’s high time to pay some attention to the state and health of the air conditioning unit that was badly neglected during the winters. But most of us rely on the servicemen from the company to do all the cleaning and servicing, so it gets ready for another season of heat and constant running. This is because we have no idea how to clean the AC and we are afraid of making things worse. But it happens to be very easy to clean the unit on your own. All you need is the proper knowledge of the components and ways to clean them. For the full DIY cleaning class on an air conditioner, see The Family Handyman. Microwave ovens are another example of modern cooking equipments that people cannot imagine their lives without. A huge number of food companies have a fully separate range of edibles that are microwave ready. Popcorn, cake, noodles, lasagna, et cetera are a few examples of what you can make in your microwave oven. And it is very normal that things might not go as planned and you end up with sauce all over the walls of your oven. Do not worry; it is not as difficult to clean as you might think. You just need to microwave a bowl of water, vinegar, and a toothpick (14.) Why a toothpick? Well, read the article by Practically Functional to find out. You wake up in the morning, get ready to leave for the office, and make yourself your favorite cup of everyday coffee. But you take a look at the jar and cringe inwardly at the state of it. Does this ring any bell in your head? Yes, because we have all been there. You never thought that the coffee jar also needed cleaning all this while. But you can’t drink coffee from this now. And it should be cleaned. But how? Like many other times, vinegar comes to the rescue, as it can be useful in removing coffee and water stains (15.) Fill the jar with equal parts of vinegar and water, brew a half cycle, let it rest, and then brew the other half cycle. If you wish to read the full hack, visit Kitchn. Toilets are integral for our survival because they do the dirty work for us. But in this process, they also tend to get dirty. And nobody would ever want a dirty toilet in their house because it looks ugly and it stinks. It is extremely important to maintain a certain level of cleanliness in a toilet for it to be acceptable for human use. Because if not, a toilet can be a huge threat to the health of the people living in that house. Also, clogging is another issue that you can face, and let’s just be honest, that is plain disgusting. An overall toilet maintenance regime is what you can really use. The siphon jets are the holes where the flush water gets into the water closet, and they should be prevented from clogging. You can simply ensure proper cleaning by using duct tape and vinegar. For the answer to “how?”, read the article on maintenance of toilet by homespot. Windows are as essential as fresh air. You just can’t have the best kind of life without them. They let the light enter when it is day, and let you have an uninterrupted look of the starry sky when it is night. You would never want these to be dirty enough that you can’t enjoy the small pleasure that they were made for. Also, dirty windows in a room really just kills the charm of that room. A complete and thorough cleaning of windows is just tedious. But it has to be done. And it’s not mandatory to do it the conventional way. You can use soapy water and wipe it with a squeegee. This will make the soap accumulate on the window sill, which you can easily wipe off with a cloth. There, done! If you have windows that slide open, you can clean the tracks by dipping Q-tips in vinegar and running them on the inside of the tracks. If you want to know more on cleaning windows, you can read about it on Ask Anna. Keyboards nowadays are closed off from most of the dust and other contaminants. But keyboards used a few years ago were a little different. They were keys attached to a plastic contraptions, open for all sorts of dust to collect around them. Not a really safe place to put your fingers in, right? Plus, if you accidentally spilled some soda on the keyboard, the torture to your fingers will be inexplicable, but sticky is the closest we can get. So, you should make it a routine to clean your keyboard for the sake of cleaning, and also to know your way around the keys. You can take a toothbrush or Q-tips to clean around and between the keys and paper napkins to clean under them. You can read the DIY keyboard cleaning hacks on How To Geek. Oprah Winfrey is a Household Superstar and she has been that way for around two and a half decades now. But apart from being a talk show host, an author, and a social activist, Oprah has another talent. She is organized to the level we can only imagine. 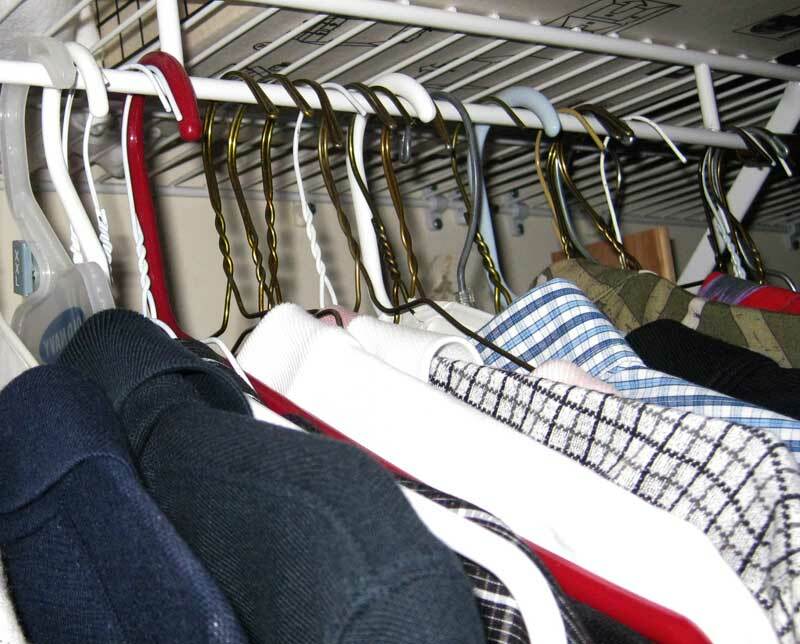 On a show, she revealed a neat trick to get an organized wardrobe. All you have to do is hang your hangers in a reversed manner. Every time you take something off the hangers to wear, place the hanger back in the correct position. After a few months (or probably a year,) you will know which clothes you never wore, and those are the ones that should go. You can donate those for charity. Tom Terrific throws more light on this trick. There is not enough stress that one can put on the fact that your bathroom is the dirtiest place in your house. But dirty is okay because that can be cleaned in a jiffy, but a smelly toilet is utterly disgusting and a whole different story altogether. If you catch even the faintest note of a bad smell, get into action immediately because if you let it be for a little too long, it can pervade almost everything in your toilet from your basin to your tub. And it will be more difficult to get rid of it then. Difficult, not impossible, though. Fabulessly Frugal teaches you how you can get remove the urine smell from about every part of your bathroom using lemon, baking soda, and the ever faithful vinegar. 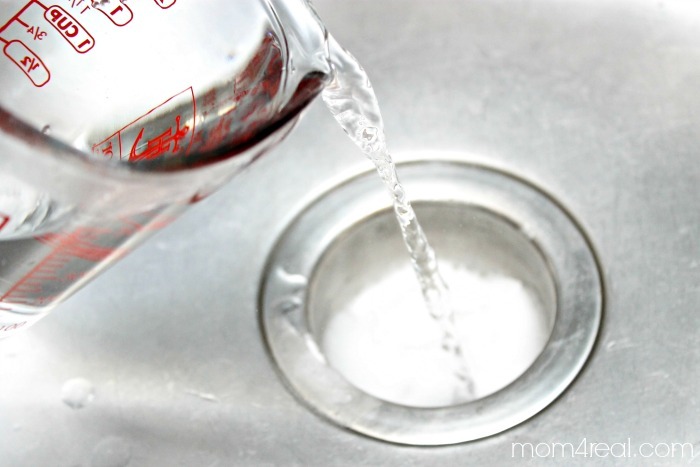 Soap scum is the white solid residue that is left behind after the soap is added to hard water. 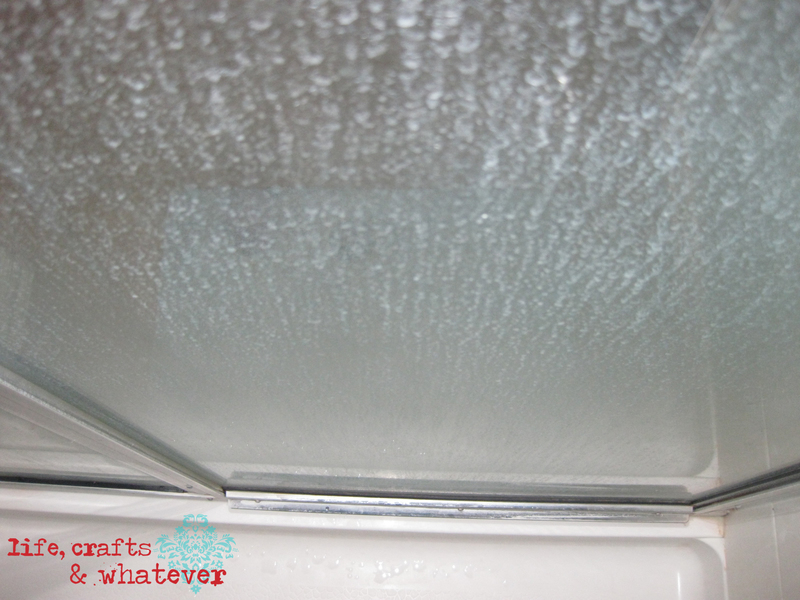 If you have a shower stall, you might have noticed some residual build up on the glass wall. That is soap scum. Not only glass, soap scum attaches to tiles and tubs too, and it looks very gross. So a simple hack to clean soap scum off your shower stall and tiles is the plain old vinegar (16) and liquid soap, only this time, you have to heat the vinegar. To know which soap to use and how to use this hack, read the post by blogger Life, Crafts and Whatever. Toilets are not just the water closet. They are a lot more than that. When you close the lid of the toilet, you must have seen some space behind it, right under the flush tank. Have you ever thought of cleaning that? If you have, then a salute to your cleanliness standards. But if you have not, then you should. You will need a flat head screwdriver and some disinfectant wipes. Ask Anna tells you how to take the lid and seat off to clean the back ledge and the crevice under the tank. Shower curtain liners are used to stop the water from splashing on the curtains. But because of that, the soap scum gets collected on the liner, making it more unsightly for the person inside. But your good old friend vinegar is pretty much enough to clean your liners. 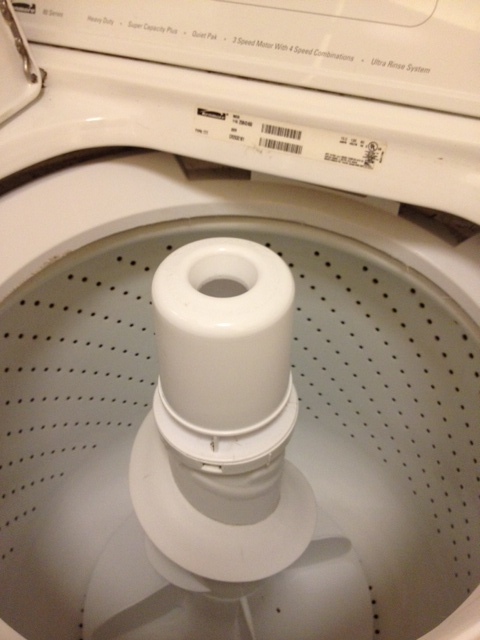 Just throw the liner in your washing machine with detergent and vinegar, and wash normally. Vinegar removes the soap scum from the liner, and the detergent will clean off other stains. The Prudent Pantry shows how to clean your shower curtain liner. Disinfectant wipes are any homemaker’s best friend. They are useful in every aspect of cleaning in the house. You can use them in the bathroom, kitchen, bedrooms, and almost anywhere else. Whether you spilled soda or you have a dirty kitchen, a small swipe with these, and you have done your part of the cleaning. But, as much as they are useful, they can be heavy on your pocket too, with a price of $3 per packet. So don’t you think it would be easier and convenient if you made the wipes at home? The ingredients are limited to only paper napkins and vinegar. 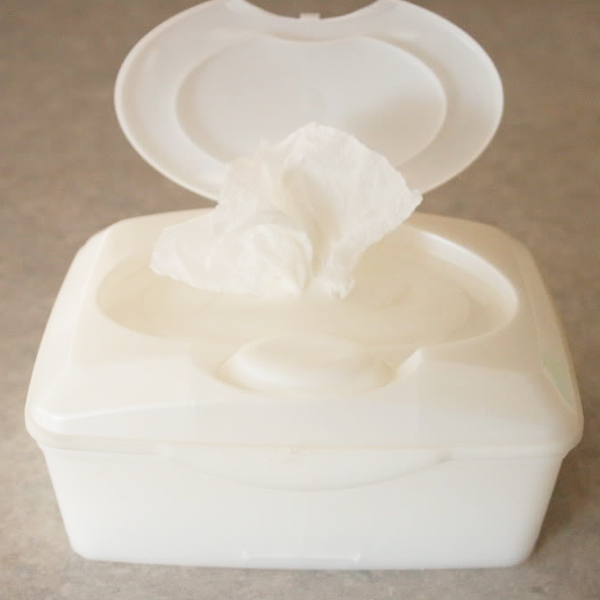 DIY Home Sweet Home tells you how to make these wipes, and the best way to store them. If you have chrome-plated fittings in your bathroom, then you know the feeling of when your pride of a sparkling bathroom turns into embarrassment because of all the hard water stains on the faucets and shower fixtures. But there’s something in the kitchen, which you can easily use to immediately clean these. Lemons can be really effective in removing the hard water stains from your fittings (17.) 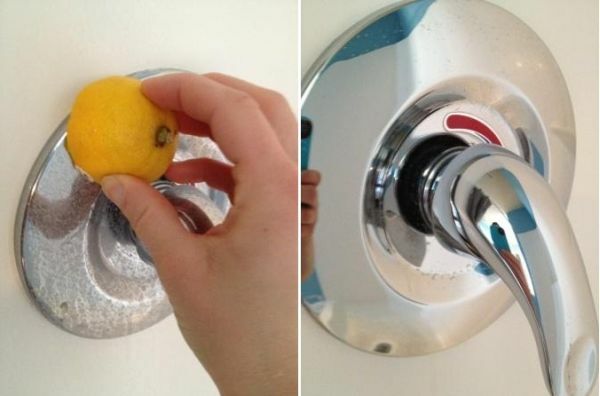 Andrea Dekker shows on her website how she cleaned her shower fixtures using lemon, and it is worth trying. Fizz bombs are fun to watch when submerged into the water. But what if you could get a two-in-one thing with them, like, say cleaning the toilet, and fragrant smell? Yes, they are real. Toilet fizzies are real and are just the best thing that could happen to your toilet. They clean the toilet and send out a refreshing and amazing fragrance that just changes the ambiance of your entire bathroom. And you do not have to buy them. You can simply make those at home by using baking soda, citric acid, vinegar, hydrogen peroxide, and essential oils. 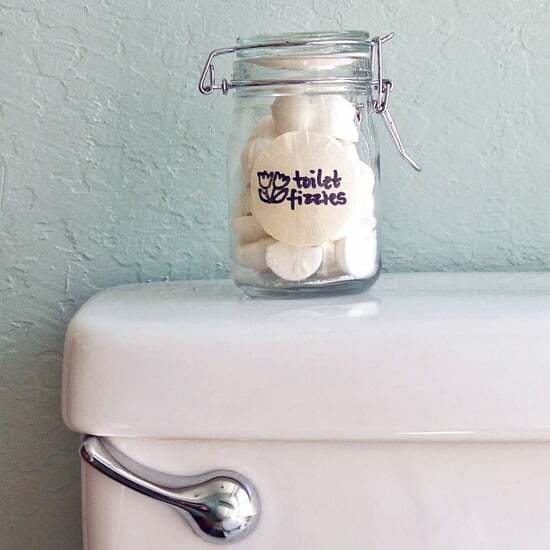 Read on Popsugar for the recipe to make toilet fizzies, and whenever you feel that you don’t like the smell of the bathroom, just pop one of them into the commode after you flush. Cooking is a job that requires fire, and that always causes smoke and vapors. While the food is safe to eat, these vapors are never safe enough to breathe in. You obviously would not like to eat your dinner surrounded by smoke that smells like burnt food. That is why chimneys were invented, to keep the smoke out, and filter it before it is sent out. The vents in the chimney catch the oil and grease that goes out with the smoke. So you can imagine how their state will be in about a year of use. Pretty disgusting, right? To clean this mess, we can dip these vents into warm water with about a fourth cup of borax, and let them sit for 15 minutes. After this, we can run them under normal tap water to clean what remains. You can read this method at Serena Bakes Simply From Scratch. You read how most of the cleaning problems of your house can be solved with just one simple ingredient: vinegar. But that does not necessarily mean that you should simply stock up on vinegar in case of emergencies. But it would not hurt to do that, right? So you can use the most pocket-friendly way of acquiring vinegar for your use: make it at home. It is made using fruit peels or herbs with white vinegar. The peels and herbs give the vinegar a distinct scent. The reason why you should make this vinegar at home is that it is easy, natural, and is made of stuff that would have been trashed anyway, like orange peel. Read the recipe of making scented vinegar at Bren Did, and clean while leaving a refreshing scent behind you. Your cutting board goes through a lot in a lifetime; it is pierced with knives, the juices of whatever you are cutting are spilled on the board, the fluids, and smells permeating into the wood, and so much more. Even the brilliant finishing of the wood suffers the tide of time. In need of proper care and conditioning, you cannot just ignore your beloved cutting board. But how to cleanse, deodorize, and condition the cutting board? Apartment Therapy shows how you can use vinegar, coarse salts, hydrogen peroxide, mineral oil, and a lemon to do all that. This one is for all the tall people in the house who are constantly pestered for wiping the ceiling fans clean, and that too, without creating a mess on the floor. Also, the dust clouds that are unleashed by this cause a lot of trouble for the eyes and nose of the person cleaning. To stop that from happening, you can cover the blades with a pillow case and then pull them off. 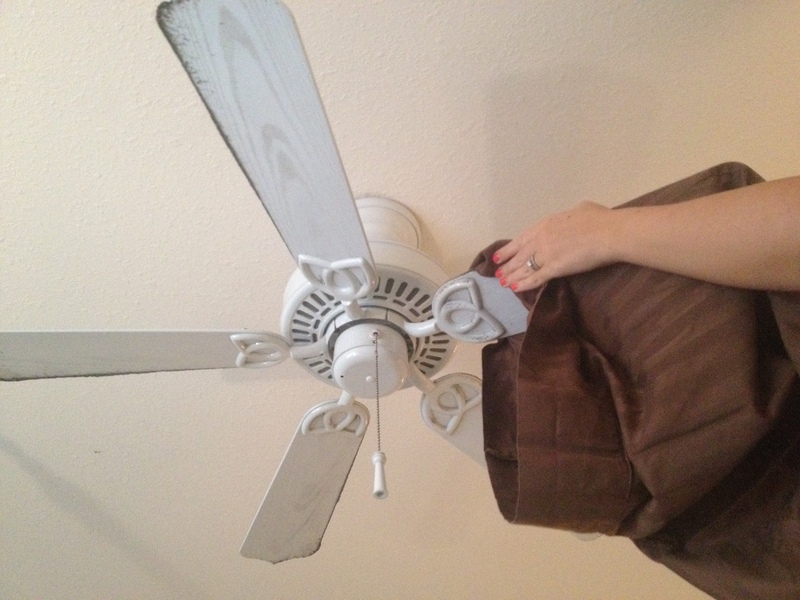 The dust, which should have flown everywhere, is confined to the pillow case and you have also cleaned the fans. To know how to do it exactly, visit Homemaker Chic. Fireplaces were a luxury in the gone days, but they are easily affordable now. And with great use comes great cleaning responsibilities. The glass of your fireplace is highly vulnerable to all sorts of staining because of the close proximity to fire and all the heat. But the glass can be easily cleaned using a paper towel and the wood ash from the fireplace. Just dip the napkin in water, then in the ashes, and clean the glass with that. If you need proof of this hack, you can read about it on DIY Home Sweet Home. Having a furry pet live with you makes you very cautious about every small thing you do, for the sake of their health and for your own. If you have a dog at home, you know how just about everything in your house contains a certain amount of dog hair. And you have made a habit of cleaning it all up. But there are some places that are very difficult to clean in this scenario, like the carpet, which is, at any point, swarming with dog hair. School Of Decorating advises to using carpet rake to get all the hair out of the carpet, and not having to give to be cleaned professionally. Not exactly a cleaning hack, this checklist by Premeditated Leftovers is like a guideline, which you can follow to maintain a regular cleaning regime, and maintain a standard of cleanliness in the house. It is a room-by-room list that gives pointers to remind and help you with just about every corner of your house. If you follow this list, then by the time you are done with the cleaning, you would have reached and deep-cleansed every nook and cranny of your home. It includes tips for cleaning and maintaining the living room, bedrooms, kitchen, bathrooms, play areas, and a general list for all rooms. This will help you organize your work as well. You can find the Spring Cleaning Checklist here. An avid blogger by passion, Tarun takes great pleasure in reading books and novels. Besides fiction, food, health, and travel are his favorite genres to write on. He took up writing from the age of 13, and since then it became a never-ending affair.